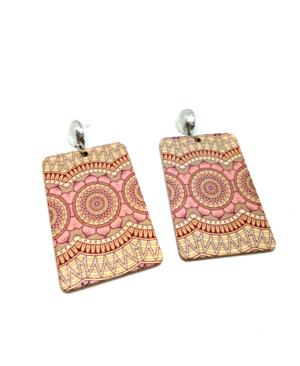 Accessorise your outfit with these lovely, lightweight lasers cut earrings. 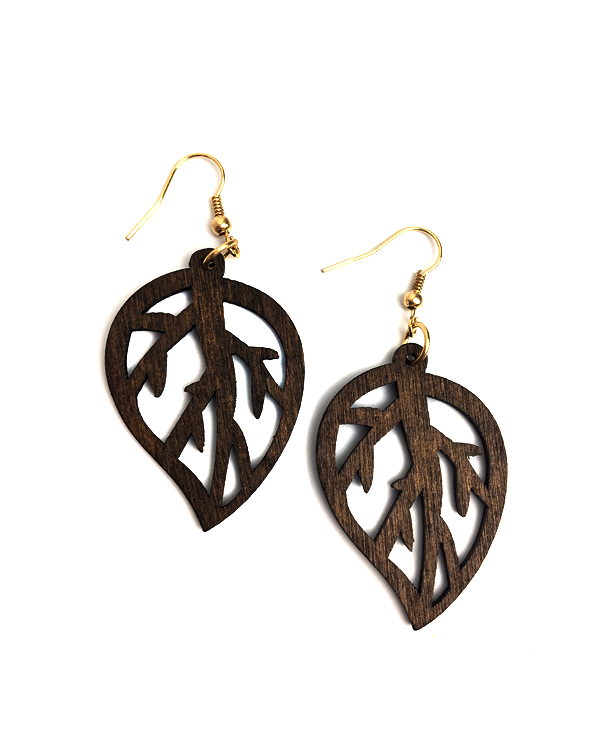 The combination of the delicate leaf design with the rustic natural properties of the wood makes for a great look. 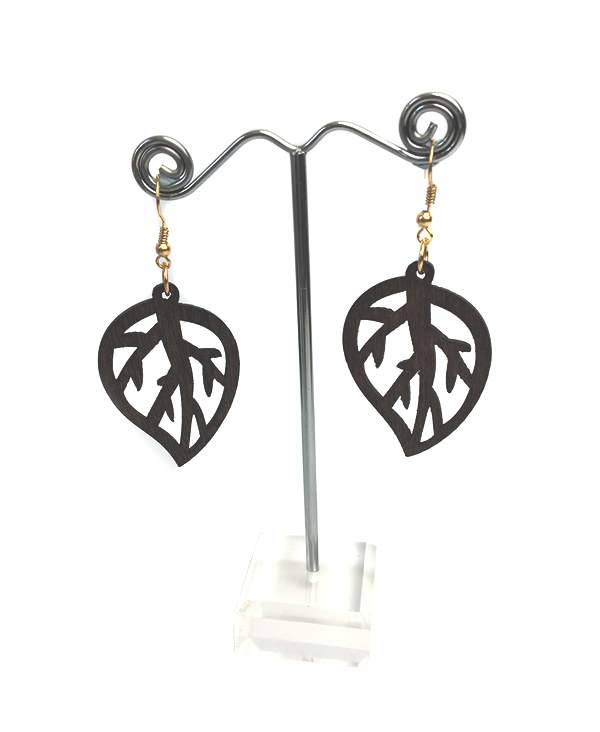 This product is made from natural materials. 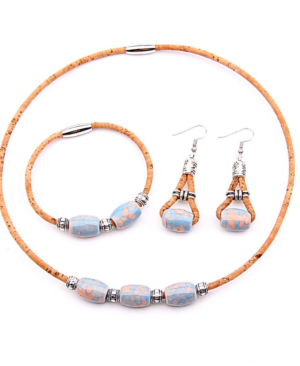 As such colours, grain and sizes may vary slightly from piece to piece and from the photo shown. Like any natural wood product, there is also the potential for minor imperfections. 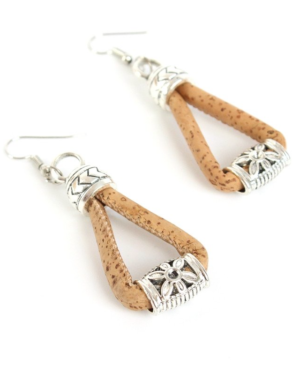 These lovely drop style earrings are hand crafted from natural cork with floral designed antique silver plated embellishments. 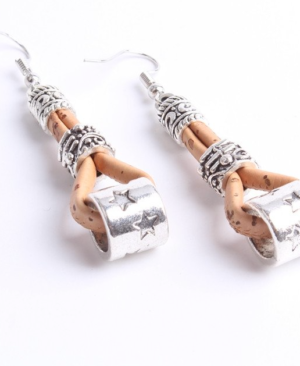 Hand crafted from natural cork, these stylish drop earrings are embellished with beautiful textured metal components, which are antique silver plated.